The EU Air Safety List (black list) imposed flight restrictions on the Eritrean national flag carrier, Eritrean Airlines, and all other airlines licensed by the Eritrean Civil Aviation Authority not to fly to any European air space due the country’s failure to comply with the EU aviation safety oversight. “All carriers certified by the authorities with responsibility for regulatory oversight of Eritrea, including Eritrean Airlines air operator certificate number AOC No 004 ICAO designation number ERT and NASAIR Eritrea AOC No 005 ICAO designation number NAS, have been banned from operating in the European airspace,” the EU Air safety list stated. The EU annually releases its Air Safety List banning airlines from all over the world with safety concerns not to operate to the EU member states. The list includes more than 200 airlines out of which 100 are from Africa. Forty-two of the banned African airlines are from DRC. Thirteen airlines from Angola and 12 from Sudan are listed in the blacklist. No airline from Ethiopia is found in the list. The EU bans airlines which do not comply with the EU safety standards. In some cases, if the EU finds a civil aviation authority of a country that does not fulfill the required international safety oversight standards, it bans all the airlines that are licensed by the authority in that country. That is what exactly happened to Eritrea this year. The Eritrean Airlines is wholly owned by the Eritrean government while NASAIR is owned by a private company and the Eritrean government. Both carriers are listed in the EU blacklist. Eritrean Airlines is a government-financed project established in May 1991 after the small Red Sea state declared independence from Ethiopia. For a long time it remained an airline in name only, serving as the only ground handling agent at Asmara International Airport and at Assab and Massawa. 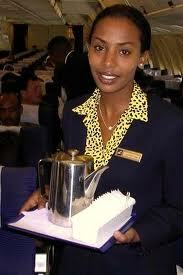 The airline has also served as a sales agent for other major carriers which fly to Eritrea. The expansion of the company’s operations to flights was decided at a workshop held in Asmara in May 2002. The airline commenced operations in 2003.